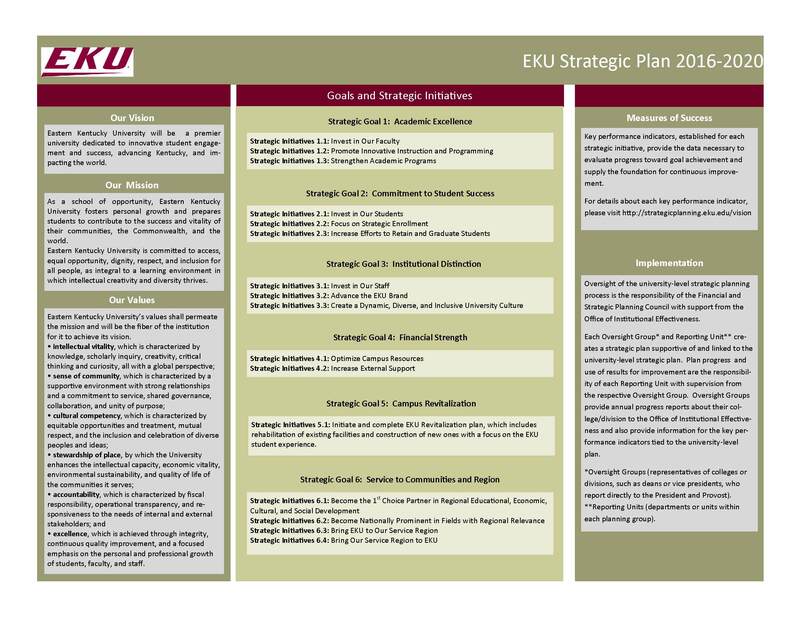 The main EKU Strategic Planning Vision page is located here: http://strategicplanning.eku.edu/vision​. ♦ Academic excellence. ♦ Commitment to student success. ♦ Intuitional distinction. ♦ Financial strength. ♦ Campus revitalization. ♦ Service to communities and region.